Overview: Sauvignon Blanc is a variety that wine enthusiasts love to hate and everyday punters love to drink and even though our market is flooded with cheap Sauvy’s at the moment I do believe they play an important part in helping beginners understand wine. The main reason being that the characters are so easy to discern. If you tell somebody who is tasting a Shiraz for the first time that they should taste flavours of blackberry, pepper, tobacco and spice they generally look at you like your head just exploded from your body. However, if you tell someone who is tasting Sauvignon Blanc for the first time that they should pick up characters of passionfruit and cut grass they normally pick it up on the nose, even before they taste the wine simply because the flavours are simple and pungent not layered and complex. Cat’s piss and sweaty arm pits also sit in this category of pungent Sauvignon Blanc characters. Wine Educators teaching flavour association should try trading tinned passionfruit for novices to sniff next to a glass of Sauv Blanc for a vial of cat urine and a quick rub of their sweaty armpit on their student’s nose. So I can hear you saying, what, in the name of sweet baby Jesus does sniffing cat’s piss and licking armpits have to do with the San Vincenzo Anselmi Biano? 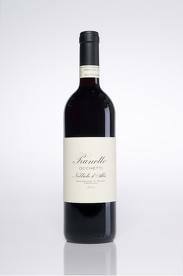 Well just like Sauvignon Blanc works as a bridging wine for wine amateurs so too does this wine ease beginners into Italian wines. It is a little bit more pungent and rich which would help accustom a novice’s palate who is not used to the subtle fruit and minerality of Italian whites. 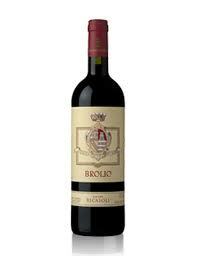 Tasting note: Upfront herbaceous aromas on the nose, cut grass, sandalwood and ripe citrus. These flavours follow through onto the palate joined by characters of pear and finishes with a fresh acidity. Final Say: This is a fun wine, while it doesn’t display the minerality and subtleness that I love about Italian whites I do see its merits and think it’s a great buy for around $20 a bottle. 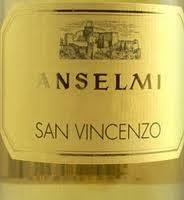 If you are curious about Italian whites but haven’t tried any before give the San Vincenzo a whirl.